The Lintec Ground Plane antenna series are ground independent, 0 Db gain, base station antenna covering the frequency bands between 400 - 1000 MHz. 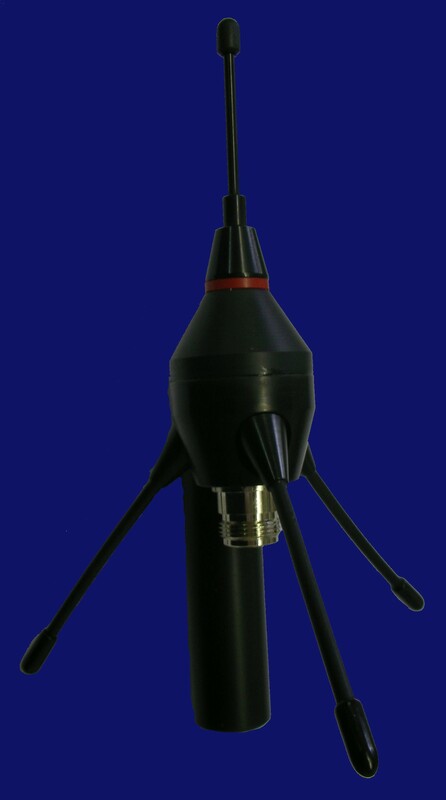 Due to the angle of the radials, it emits maximum radiation at the horizon, ensuring a maximum omni-directional range. The ground impedance maintains a stable radiation pattern in all fixed mounting applications. Its robust construction ensures excellent longevity and performance. Ideal for mounting in applications where ground plane area is non-existent or severely reduced. 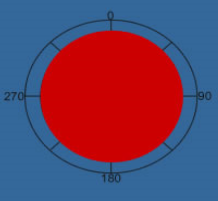 This is a compact arrangement of three 'legs' (radials) radiating outwards and slightly downwards from a central connector with a radiating element pointing upwards.